Well, it’s been quite a summer! Soaring temperatures and all before August has arrived. Are you planning your staycation or packing your suitcase for foreign climes and even hotter temperatures? 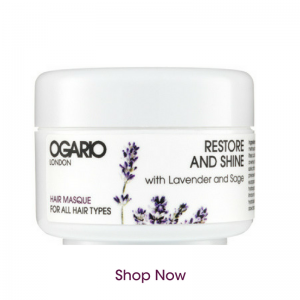 Either way, with all this sunshine, holiday hair tips are front of mind here at Ogario London HQ! We’ve fallen in love with swimming caps lately. We love retro florals and not only do they give a touch of old-school Hollywood glamour, if you enjoy splashing about, they keep your hair safe from drying chlorine and salt. Not convinced? Check out our Pinterest board for inspiration. If like us, you can’t face the hairdryer in the heat, the answer is to let your hair air-dry. 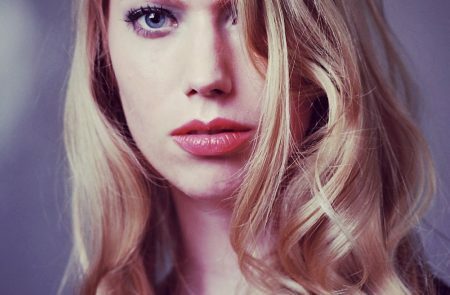 For mid-length and long hair, plait the hair whilst damp and secure with bands and hairpins. Release when dry for relaxed beach hair. 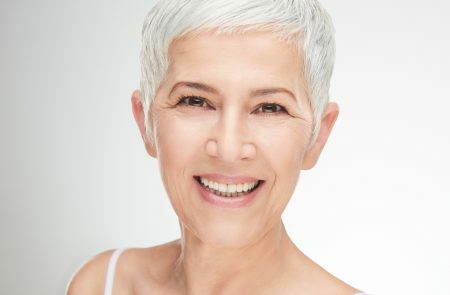 For shorter hair, simply shampoo, condition and towel out the excess water. 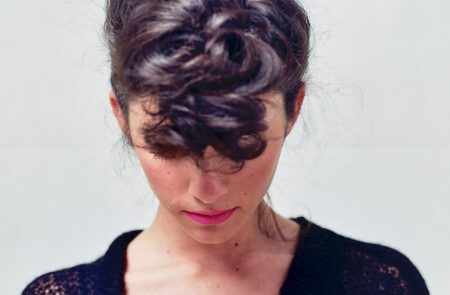 Follow with a spritz of Styling Mist and use your fingers to push hair into place. 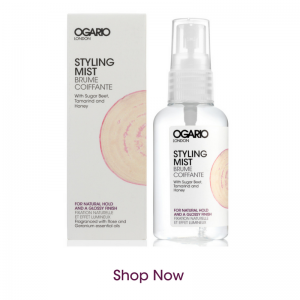 Styling Mist for Natural Hold and a Glossy Finish. This little beauty is more than just a styling product. It also works as a leave-conditioner. 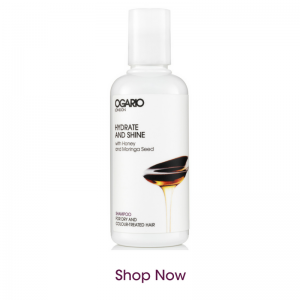 It contains Sugar Beet an ingredient that helps the hair to retain moisture, working alongside keratin and argan oil to nourish and repair dry hair. 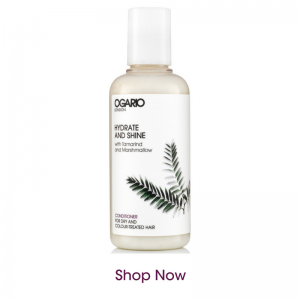 We love how soft and silky hair feels after using this lovely mist. 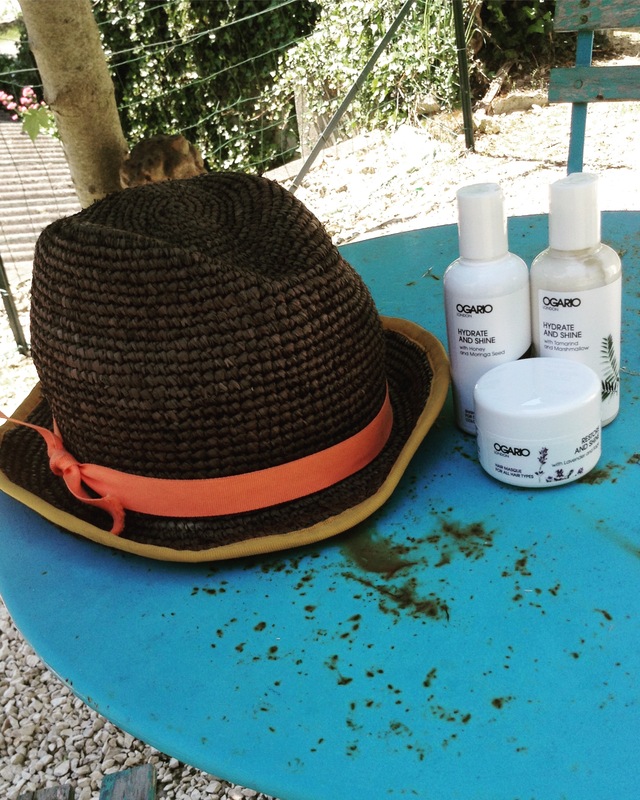 A hat is not only a style essential for long summer days, it’s a hair essential. Wear your hat to avoid the intensity of the sun’s rays, particularly between midday and 3pm. We were in Paris recently and the headscarf is oh so chic! It’s very much the hair accessory of the summer. Wrapping your hair in a headscarf is a great way of protecting your hair whilst showing off your fashion credentials. Do not leave home without it. If you have dry hair this is your go-to product. This little pot of sunshine will leave your hair nourished, soft and shiny. We recommend using it once a week but if your hair is excessively dry you can use twice a week during the summer months. This is our favourite poolside product and one of our favourite holiday hair tips. Shampoo your hair in the morning. Rinse. Towel out excess water. Apply the masque and slick hair back, for a pool-ready look. You can leave it on all day – don’t forget your swimming cap if you are going for a dip! In the evening simply rinse and marvel at how easy your hair is to style! Et voila! Enjoy the sunshine.